Your friends from The Coast are teaming with Coast Cinemas for a special event Sunday, February 3 benefiting the Mendocino Film Festival AND celebrating The Coast’s 28th birthday. Reviewers call Horn from the Heart a “must-see for music fans”; a documentary featuring the only performer at Newport Folk Festival, Monterey Pop AND Woodstock. Horn from the Heart has performance footage, stories and interviews with the late Paul Butterfield and others who knew this complicated, gifted man - called the greatest harmonica player of all time - whose band led the blues across racial lines, gave it an edge and busted open music with their rocking brand of blues. A few lucky winners will see the film with birthday gift tickets from The Coast. 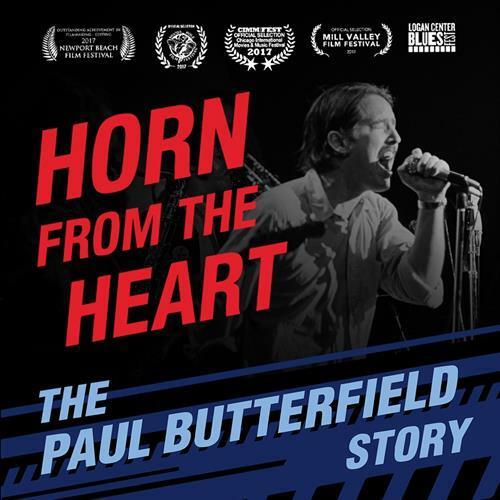 Horn from the Heart: The Paul Butterfield Story screens as a benefit for the Mendocino Film Festival. This one-time only screening is Sunday, Feb 3rd, 4:00 pm. Tickets are $12 and available for purchase through the Mendocino Film Festival office, Coast Cinemas and online through Eventbrite.